Wiper-Tec Oy is a company which is specialized into manufacturing special studs for rally tyres, motocross and enduro tyres aswell as for various kind of shoes. We also manufacture special studs for your needs. Wiper-Tec Oy is formed at 1987. For over 20 years we've provided grip for many demanding customers. 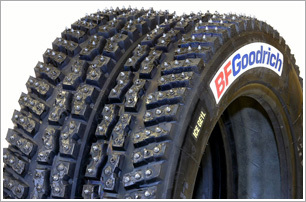 We make constant developement work with leading tyre manufacturers, studders and tyre users. In November 2007 the company got new ownership when GM Kaj Talonen sold it to Oy Seba-Team AB and Däckproffsen AB. Seven years later, in July 2014, Oy Seba-Team sold their part to Däckproffsen AB which became the only owner of Wiper-Tec Oy. Wiper-Tec Oy services You from Växjö, Sweden, but some stock will last in Degerby near Inkoo, southern Finland. We wish to welcome you to join to the group of satisfied customers!